19 For Life Scholarships Awarded at 2014 Cal-Hi Sports Banquet! 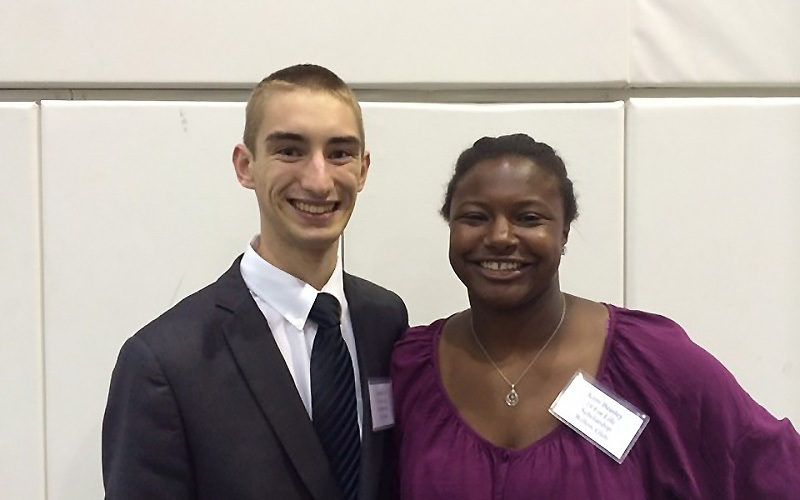 On May 19, 2014, 19 for Life presented two inspiring high school student athletes each with a $1,900 scholarship. Please click on the links below to watch each of their courageous stories and see how they have both overcome adversity. It was such a pleasure to meet and have dinner with them and their families at the Cal Hi Sports Banquet. We know that they both have very bright futures ahead of them! http://nineteenforlife.org/wp-content/uploads/2015/04/2014-cal-hi-sports-scholarship4-640x400.jpg 500 800 thepointcollective http://nineteenforlife.org/wp-content/uploads/2015/04/19forlife-logo-218x300.png thepointcollective2014-05-23 20:19:552015-07-02 06:00:3019 For Life Scholarships Awarded at 2014 Cal-Hi Sports Banquet! Don't miss a beat. Subscribe below and we'll keep you in the loop regarding all things 19 for Life! Copyright - 19 for Life. All rights reserved. “19 for Life” is a California non-profit 501(c)(3) organization. Donations to the Foundation are tax-deductible as charitable contributions. 2013 Recap and Q1 Update for 2014 Get the Official Kevin Frandsen Strike Out Cancer T-Shirt!